Expertly crafted by skilled artisans, the Bronze Cube table lamp from RV Astley is a striking luxury table lamp. Three graduated cubes finished in a beautiful bronzed lacquer extend from the base. The tower of cubes balance together in this sculpted masterpiece with complementing round drum shade. 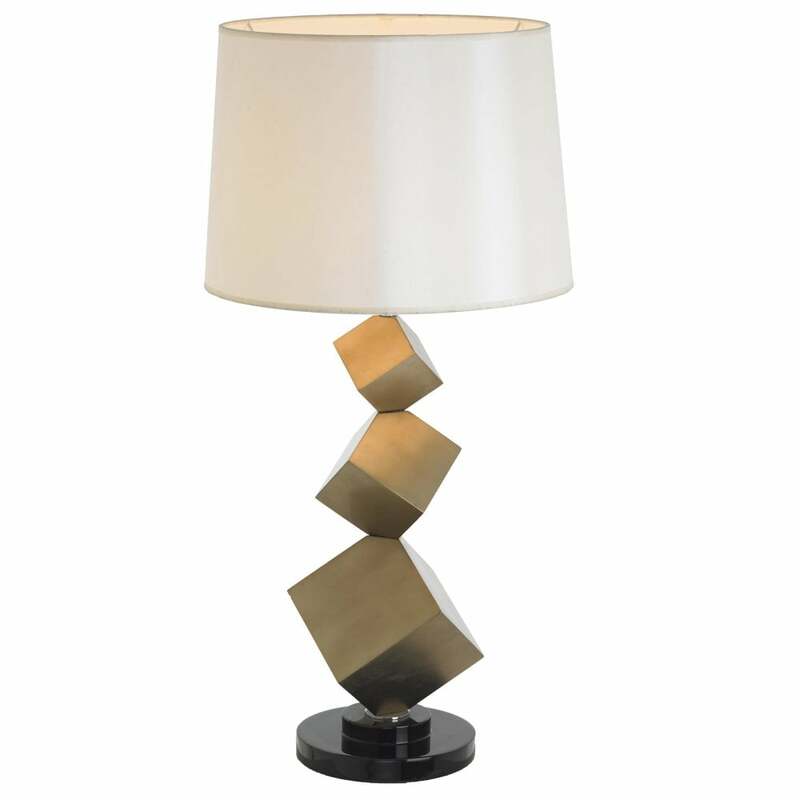 The bronze cube table lamp is a great way of incorporating the current metallic trend into your interior. Style with complementary metallic home accessories for a fully cohesive scheme. Add the lamp in a glamorous bedroom interior with faux fur and luxurious fabrics to enhance the look.